On this exclusive 5 Star journey to the Home of Golf, you will play the courses that have made this ancient land famous, whilst dining and resting at the most luxurious establishments in the country. Follow in the footsteps of your golfing heroes. 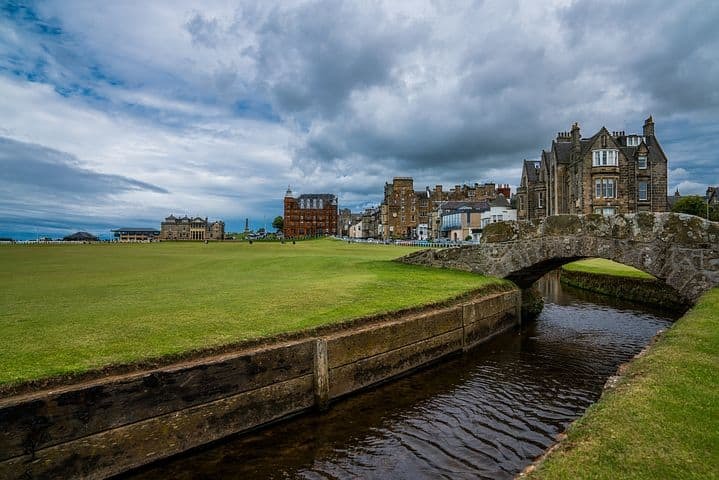 From the famous Old Course at St Andrews to Open Championship venues and the best ranked golf courses in the world, alongside 1 or 2 hidden gems. This package will fulfil your golfing dreams as you challenge your game on some of the best courses in the World. You will have the choice of having a chauffeur throughout your journey or receive the keys to your very own luxury 4×4. You will arrive in to Inverness Airport, where you will be greeted by a member of the Lang Atholl team. Here you will be transported north in your executive vehicle to the county of Sutherland, in the Scottish highlands. You will visit the seaside town of Dornoch where you will arrive at you accommodation for the evening, Links House. This day will be spent recuperating in 5 Star Luxury. Links House, adjacent to the 1st tee at Royal Dornoch Golf Club, is the perfect Highland retreat that radiates charm and elegance. Relax and enjoy their award-winning fine dining menu, for in the morning Royal Dornoch Golf Course awaits. After your hearty Scottish breakfast, you will make the short walk to The 1st Tee at Royal Dornoch Golf Club. This course is ranked #1 in Scotland and #5 in the world by Golf Digest. After your round on this iconic golf course you will have the option to visit Balblair Distillery with your private driver. After you have seen behind the scenes at Balblair distillery, met the makers, and learned how they craft their malts and of course enjoyed a taste or two of their delicious whiskies, you will make the short journey north to Dunrobin Castle. Dunrobin Castle is known as the ‘Jewel in The Crown of The Highlands’. The Castle resembles a French château and its towering conical spires made it look like a vision from a fairytale. In the evening you will spend the night at Link House. On Day 3 you will head down past Inverness to Castle Stuart Golf Club. This Championship Course has a rich and illustrious history. 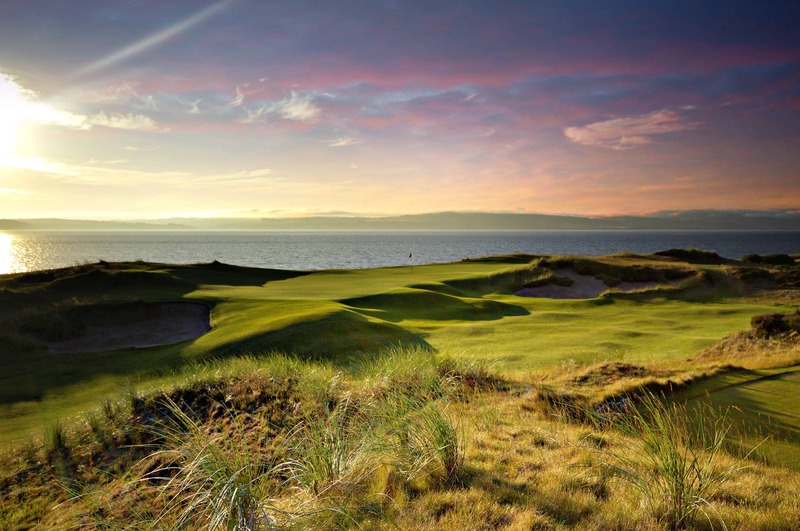 Overlooking The Moray Firth, the course provides fantastic scenery, immaculate fairways and enticing holes..
After your day on Castle Stuart you will take the short journey to Inverness. Your accommodation will be the 5 Star NEW Ness Walk, on the bank of River Ness in the centre of Inverness. On Day 4 you will be transferred along the coast to your next destination, Cruden Bay. Highly Regarded and considered one Scotland’s best hidden gems. Within Cruden Bay, a small village on the north coast of the Bay of Cruden in Aberdeenshire you will find a traditional Scottish links golf course, where you are guaranteed a unique and unforgettable experience. 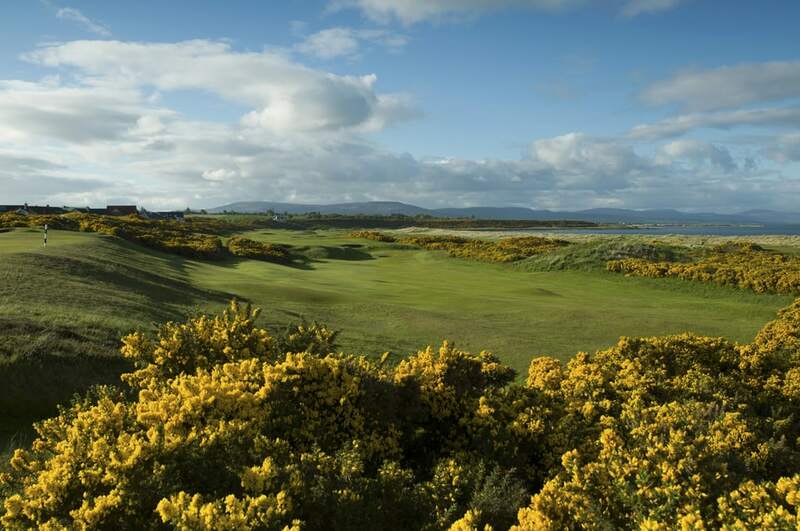 You will enjoy a fabulous golfing experience on this old fashioned links course. Recently placed at No 52 in the world by “Golf Magazine”. You are in for a treat with what is considered one of the best links courses in Scotland. After you round of golf you will make the short journey to your distinguished 5 Star Accommodation in Aberdeenshire, Macleod House. Nestled deep within the Scottish countryside and amongst a stunning backdrop of highland beauty, you will enjoy a wonderful evening of Highland comfort and fine dining. After Breakfast at Macleod house you will make the 1.5 Hour coastal drive down to the famous Carnoustie Championship Golf Links. will be welcomed to Carnoustie Golf Links, home of The Open. The course has hosted seven Open Championships, one Ladies open and two Senior Opens. 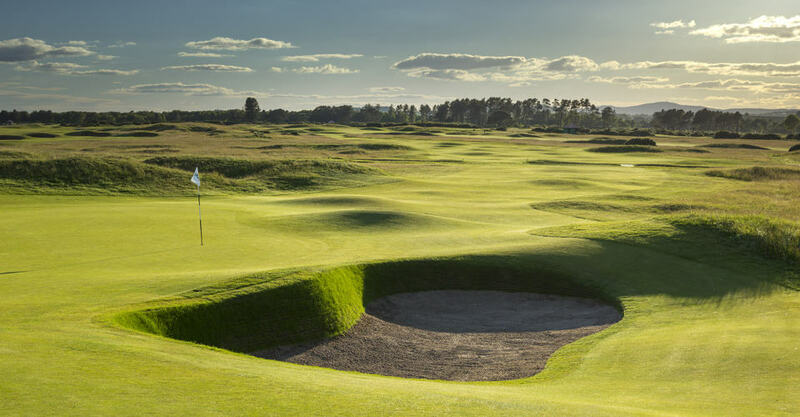 There are many who believe that the Championship Course at Carnoustie is the finest test of championship golf that exists. After your compelling round on Carnoustie, you will continue your tour to the Old Course Hotel, St Andrews. The hotel borders the renowned 17th Road Hole of the Old Course. With it situated overlooking the famous links courses, west sands beach and the alluring Scottish coastline. The prestigious AA 5-Star Hotel features a combination of classically elegant and contemporary interiors. On this day as you awake in St Andrews you will play a round on The Castle Course. The newest addition the St Andrews Links. It opened back in 2008 becoming the 7th course at the Home of Gold and part of the largest public golfing complex in Europe. The course is set on a rocky cliff-top with sensational views over St Andrews. Later this afternoon you will have the opportunity to explore the Town and visit St Andrews Cathedral and St Andrews Castle. 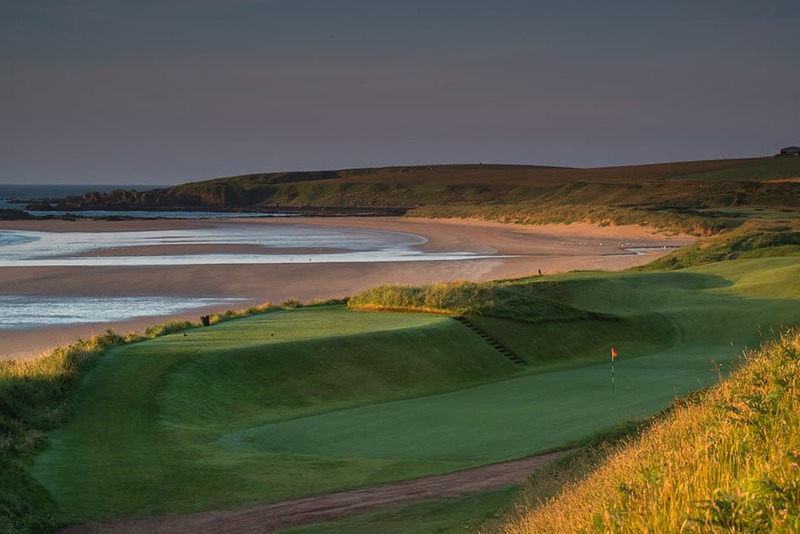 Walk The Swilcan Bridge, ‘avoid’ the Hell Bunker and follow in the footsteps of the golfing greats. After your round of golf you will visit the British Golf Museum, located just yards from the famous old course. In the evening as you discuss how you fair on the famous Old Course, you will discover a true taste of St Andrews at the 3 AA awarded Road Hole Restaurant. The location offers beautiful views of the North Sea and the Old Course while you dine. Their Scottish food is locally sources, with their chefs picking up fresh produce regularly. On Day Eight you will be transported (15mins) to Kingsbarns Golf Links. 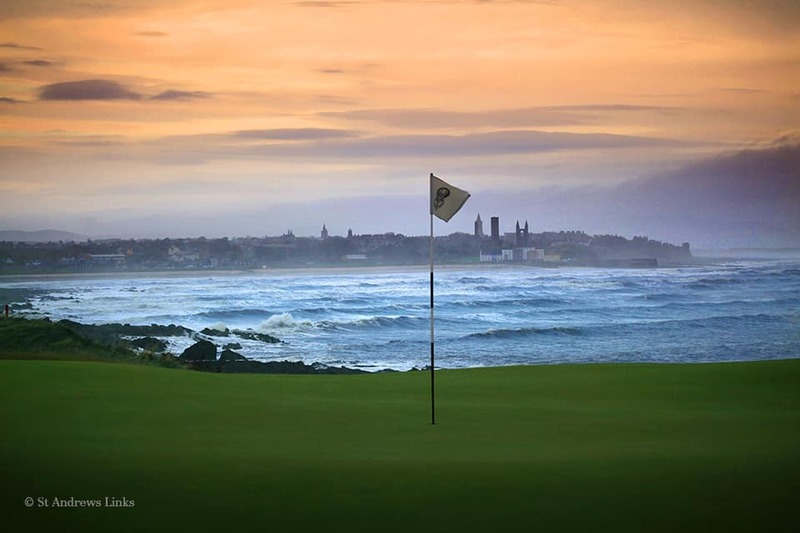 Kingsbarns co-hosts the annual European Tour’s Alfred Dunhill Links Championship in September, together with the Old Course at St Andrews and Carnoustie Golf Links. Most recently Kingsbarns hosted The Women’s British Open. Built along Scotland’s Coastline you can see the North Sea from every part of the course, a true gem of a course that dates back to 1793 and is not to be missed. After your round of golf you will enjoy a Tasting Tour at The Kingsbarns Distillery, then dinner at the nearby Michelin Star Restaurant in Anstruther, The Cellar. In the evening you will spend another night at The Old Course Hotel. On your final day you will travel to the capital of Scotland, Edinburgh. 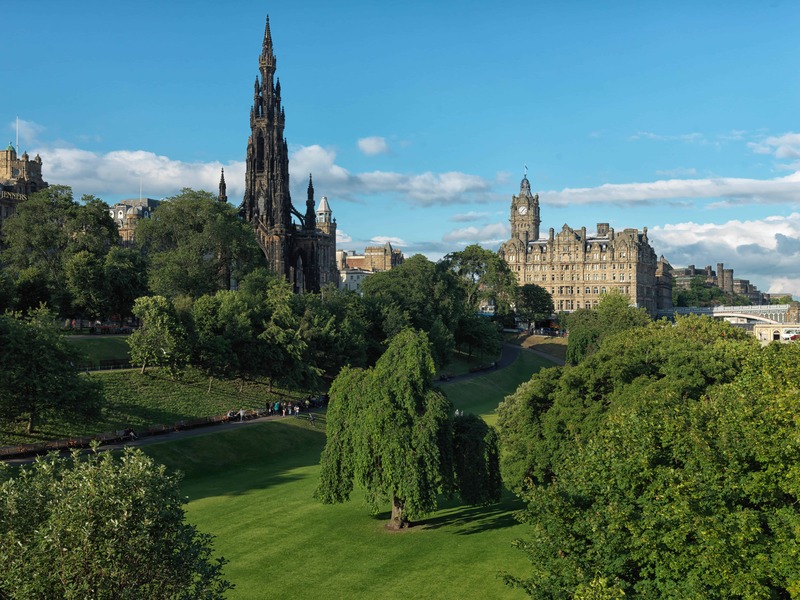 You will find The Balmoral at Edinburgh’s most prestigious address at No. 1 Princes Street. The hotel’s clock defines the city’s skyline since the day they opened in 1902. The Balmoral began life as a grand railway hotel and continues to respect the traditions set by its founders, right down to the kilted doormen. 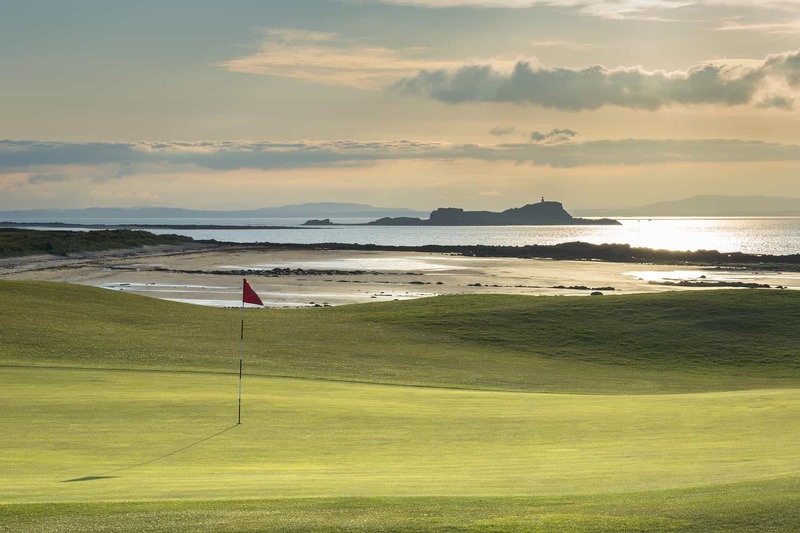 You will travel to the seaside town North Berwick for your final round of golf. Golf has been played over the famous West Links course since the 17th century. As you play you can enjoy the breathtaking views of the Bass Rock, Firth of Forth as well as the town of North Berwick. For your final evening you will journey back to Edinburgh to dine in Number One. This is the Balmoral’s Michelin-starred fine-dining restaurant. The famous chefs find it important to create inventive dishes whilst promoting the best of Scotland by using only the finest and freshest Scottish ingredients. On this day you will be transported to Edinburgh Airport where we must bid you farewell.